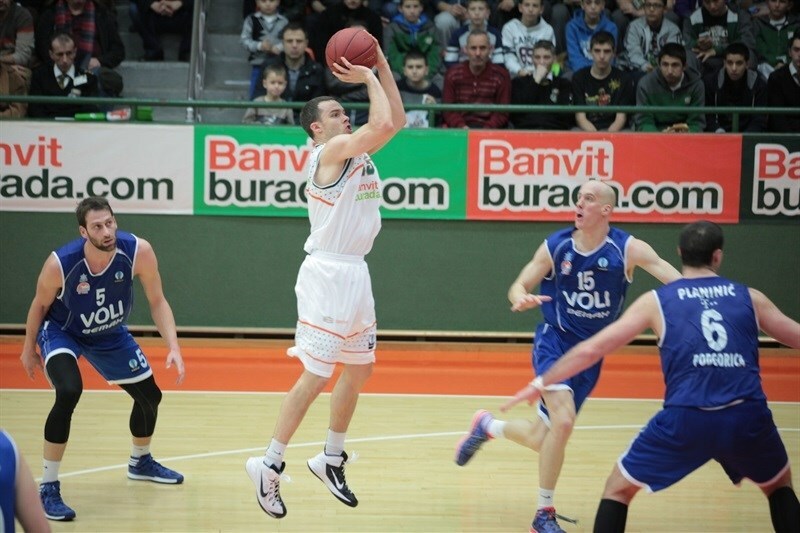 Banvit Bandirma eliminated Buducnost Voli Podgorica with an 87-74 victory on Wednesday. 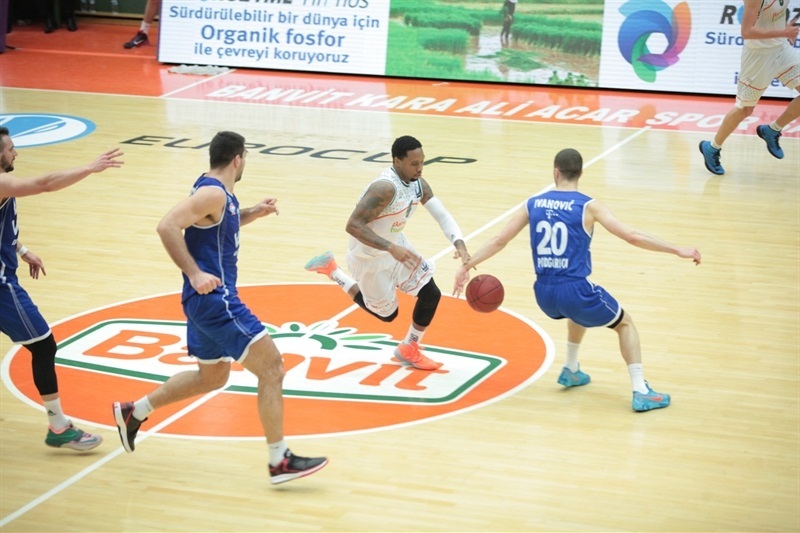 The result improved Banvit’s record to 3-2 and left it in control of its destiny. Another win next week when it travels to Sardinia to face Dinamo Banco di Sardegna Sassari would send Banvit to the Eurocup Eighthfinals. Banvit used a 27-8 run bridging halftime to take a 60-46 advantage midway through the third quarter and never looked back. 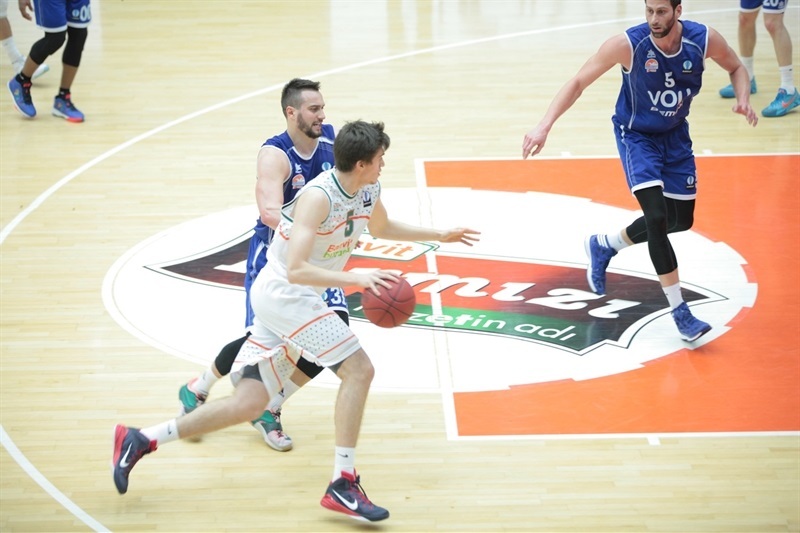 Vladimir Veremmenko and Chuck Davis drilled 14 points apiece to lead Banvit, while Keith Simmons and Valdimir Dragicevic bagged 13 each in victory. Omar Cook contributed with 14 points and 6 assists for Buducnost, Ivan Paunic scored 13 and Darko Planinic and Bojan Subotic netted 11 each. In a high-scoring first quarter, the visiting team took a 2-10 advantage when Ivan Paunic hit a layup to complete a fast break. The margin grew to 15-24 on a three-point shot by Bojan Subotic. Davis and Veremeenko kept Banvit alive, while Paunic’s jumper gave a 20-26 cushion to Buducnost at the first break. Safak Edge hit from mid range to tie it at 31-31. Then Subotic continued his remarkable performance from long distance to make it 33-38. 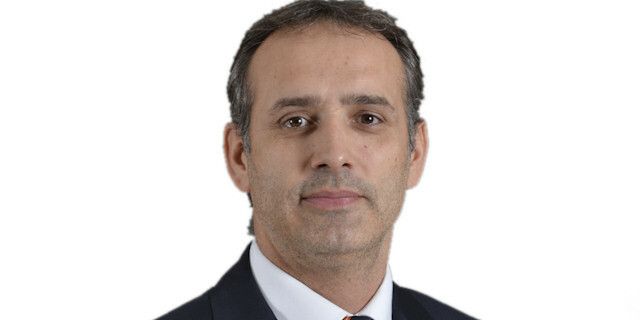 The momentum changed with Banvit’s 17-4 run capped by a three-pointer by Berkay Candan to lead 50-42 at halftime. Banvt kept running to take a 55-43 lead behind Davis and Keith Simmons. Paunic hit a three to keep his side alive, but the hosts capped an amazing 27-8 run with Dragicevic to stay ahead 60-46 at the midway point of the quarter. Cook from long distance made it 65-53, but Dragicevic’s layup established a 71-56 cushion. Buducnost’s point guard hit from downtown to make it 72-59 after 30 minutes. Tolga Gecim made it a 20-point game, 82-62, with five minutes remaining in regulation. The guests cut the difference to 84-74 through Robert Rikic. A triple by Edge sealed the team win. "It was an important win for us especially after the three loses. And this win help us to come up little bit. I tried to use all our players this game and to give more chance to the youngsters. I don’t want to demolish our experienced players. But I’m unhappy at this point because they did not use this opportunity well. We didn't start the game the right way and after the second quarter we corrected our defense and controlled the game. But as I said, our young players came on the court and played like the game was finished. So I’m angry to them and I’m angry about their attitude. "